Neighborhood Parcel is your nearest FedEx Shipping Center if you live in Andover, Billerica, Chelmsford, Dracut, Lowell, Tewksbury and Wilmington MA. 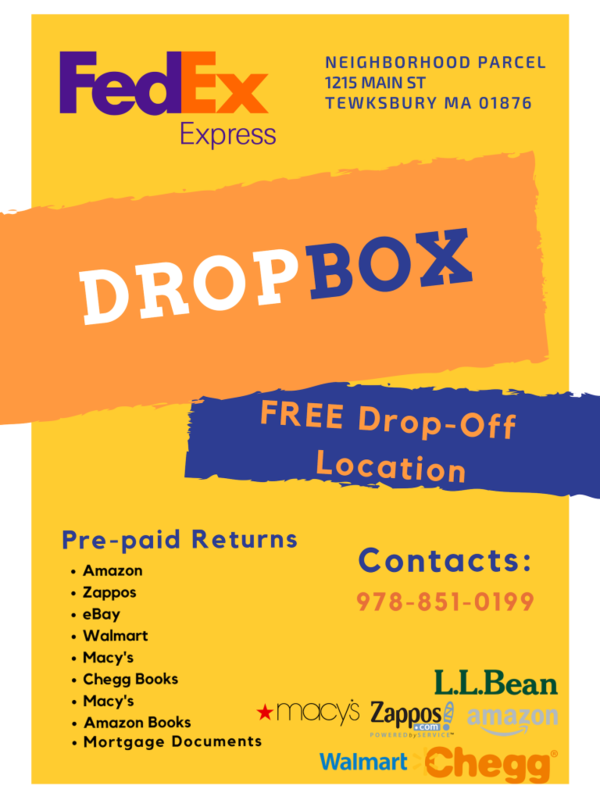 If you are looking for a place to ship your overnight letters or return FedEx ground packages, look no further than Neighborhood Parcel of Tewksbury MA. With over a decade of experience in shipping and packaging services, Neighborhood Parcel can ship just about anything anywhere in the world. 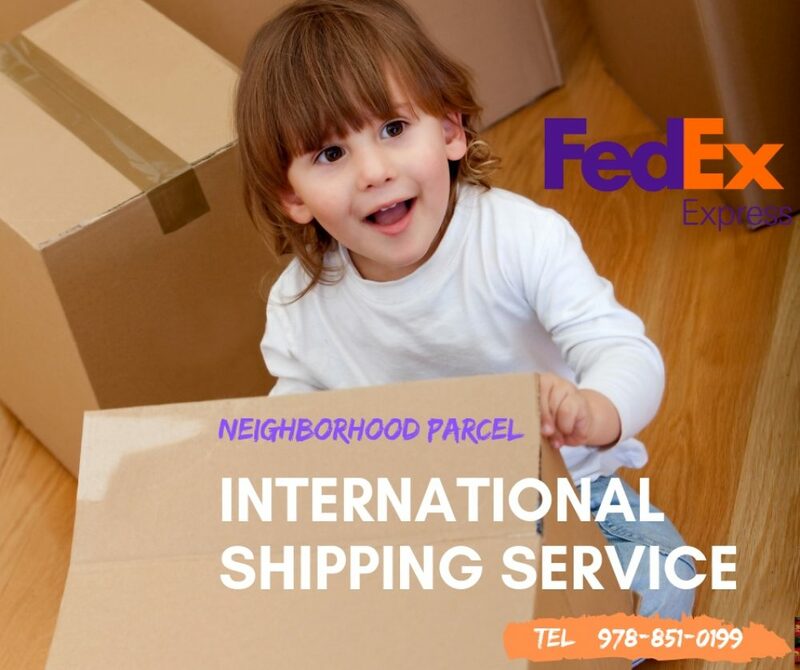 You will find experienced staff that has been using FedEx service for a long time, they will help you navigate the complex world of international shipping and help you ship your valuable package so it will arrive safely, on-time and within your budget! Neighborhood Parcel offers a Free FedEx Drop-off location for all your Pre-paid returns. No need to pay for pick up fees, save your time and money and take advantage of this great drop-off service. Who wants to spend all day packing and shipping? Since you’re on this page, we’re guessing you value your time and love to save money. Leave the packaging and shipping to us! In fact, it’s our job to help you ship your valuable items and save you some money along the way. Think of Neighborhood Parcel as your personal mailroom, whether you need mailing supplies or pre-paid packages dropped-off. Our experts will securely pack your items and get them on their way.